Enjoy the combination of style and comfort. Relax with the foam support and modern style of a new Vivon foam accent chair. The ergonomic design with comforting curves makes this chair an easy place to sit and relax. 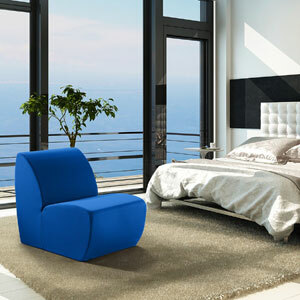 Created by an award winning world renowned design team, the Vivon Foam chair adds style to every room in the house. All styles are available in a variety of vibrant colors. 2015 GOOD DESIGN Award winner. The World’s most recognized public certification for consumer design excellence.